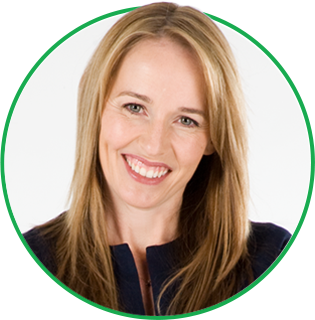 Michelle McQuaid is a highly sought-after teacher with a warm, playful style; deep expertise of positive psychology, neurobiology and business; and a unique ability not just to energize and inspire, but to leave people with tested, actionable ideas, strategies, and habits that change lives. 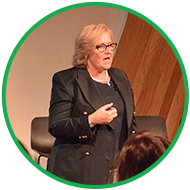 Having studied at the feet of the world’s leading positive psychology researchers, she has taught over 10,000 people worldwide at over 100 events, seminars, and workshops, including at Wharton Business School, Melbourne University, Happiness & Its Causes, and more. She also hosts the highly acclaimed weekly podcast ‘Making Positive Psychology Work’ and blogs for Psychology Today. Click here to learn more about Michelle and view sample clips of her workshops. Want Michelle’s Help? Let’s chat. Passionate about creating measurable improvements for leadership effectiveness, employee engagement, and wellbeing, Beck integrates the latest research in neuroscience and positive psychology to enable small actions that deliver a big impact. After more than a decade of corporate finance and not-for-profit business experience where 10-hour days, stretch targets, high-stakes negotiations and weekly travel fuelled by intravenous coffee was commonplace, Beck was sure there had to be a better way to work. 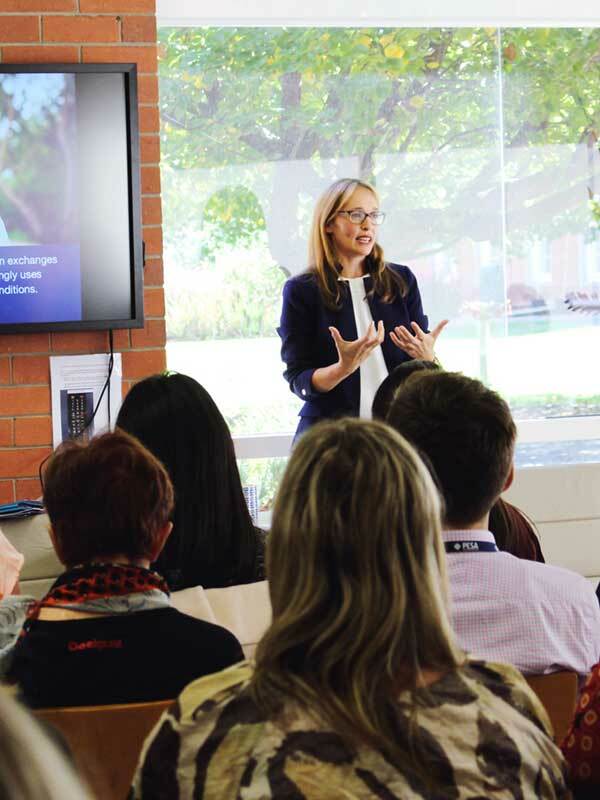 Hitting the invisible ‘emergency stop’ button, she completed her Masters of Applied Positive Psychology at the University of Melbourne and is fulfilling her dream of being a wellbeing consultant. These days Beck helps teams to unlock their potential by developing their strengths, building stronger relationships, and improving their resilience so they can consistently accomplish their goals and make a positive contribution to the world. A master at creating safe spaces for experiential learning and growth, she has an enviable knack for drawing out the collective creativity, wisdom, and generosity that exists in any room to ensure the evidence-based practices she shares are tailored to your organization’s context and culture. A disruptor of conventional leadership and people management practices, Elise’s diverse background allows her to straddle the commercial realities of organizations while forming deep human connections to facilitate positive change and extraordinary outcomes. With more than 25 years of global and local human resources experience in corporate and public sector organizations, Elise encountered a very personal wake up call to the importance of enabling people to flourish at work after her own experience with depression. 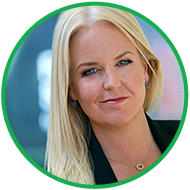 Having completed her Masters of Applied Positive Psychology, these days Elise brings together Eastern and Western psychology approaches with qualifications in Marketing and Management. 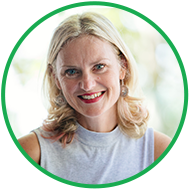 Growth-oriented and highly collaborative, Elise strategically links simple, relevant and busy-proof content to ignite constructive conversations, connect people with possibility and inspire collective action and sustainable positive changes. A master at helping people to grow through the discomfort that often lurks in the shadows of workplaces, Elise believes wholeheartedly that other people matter and when we live and lead from this perspective we unlock people’s latent potential and their ability to thrive and flourish at work. Committed to helping leaders and their teams to show up authentically, Jo unlocks people’s potential and performance by improving their levels of hope, self-efficacy, resilience and optimism – or what researchers describe as ‘psychological capital’. Fusing her 30 years of learning and development experience in workplaces of all sizes and backgrounds with a Masters of Applied Positive Psychology from Melbourne University, Jo activates and amplifies your training results by ensuring her approach meets the unique needs of your organization. After all, ensuring the transfer of learning that shifts mindsets and behaviors across a system is wired within Jo’s DNA. A master of bespoke design and thought provoking and candid facilitation, Jo teaches leaders and their teams how to have appreciative coaching conversations that leverage people’s strengths, develop more meaningful and productive relationships, and to create opportunities for themselves and others to flourish. She particularly loves that ‘a-ha’ moment when people see others as “an infinite source of possibility” rather than “problems to be fixed”. 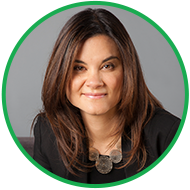 Natalie helps organizations maintain clarity and build momentum in the face of rapid change and disruption. With a passionate commitment to turn unrealized potential into realized results, she helps leaders and their teams adapt to changing conditions, consolidate their strengths, and grow fearlessly to meet the 21st century at its edge. With more than a decade of cross-functional management experience across Fortune 500 companies, start-ups, non-profits and the education sector across six different continents, Natalie fuses her studies in business, economics and positive psychology to help leaders and teams to bring out the best in themselves and others, inspire loyalty, and fuel sustained success. A master at embracing different perspectives to ensure everyone feels heard, Natalie thoughtfully tailors her approach to unlock breakthrough insights and teach people the skills of agility, courage and connection to improve their resilience and create meaningful opportunities for growth.